Everton finally overcame their away day blues with a hard earned 2-1 victory at the Potteries. Our players provided mixed performances as our ratings show below. Ratings are made on a scale of 1-10, 1 being awful, 5 being average and 10 being outstanding. Players coming on as substitutes after 75 minutes will receive no rating (N/R). Manager rating – 4 – Credit where it is due, Allardyce went with a completely different formation today. He also changed it at half time and to utilise our pace. The reason he doesn’t score higher is his subs when 2-1 up where once again questionable. Jordan Pickford – 4 – On the back of a week where he was called up to England’s full squad for the international friendlies, Jordan will have wanted to give a better performance that he provided at the Bet365. He looked unrecognisably uncomfortable in attacking crosses and was at fault for their goal. Seamus Coleman – 7 – A resilient display is probably the best way to summarise Coleman’s performance today. We have missed his link up with the winger in front of him as well as his ability to defend. Everton’s right back stuck in there when it got tough. Phil Jagielka – 7 – A captains performance and he has pretty much made a mockery of Ashley Williams’ showings in the space of 2 games. Provides composure and calmness to the back line and Michael Keane is thriving from it. Dealt superbly with Crouch. Michael Keane – 7 – A completely different player when in the presence of Jagielka. Another gathered and composed performance under tricky pressure from Crouch. Nearly scored with a rocket from 35 yards out as well! Leighton Baines – 6 – There wasn’t a great deal for Baines to do for large parts of the game. Did link up well with Bolasie in the second half and did his defensive duties when needed. Should have taken over the corners from Wayne Rooney who failed to beat the first man 95% of the time. Idrissa Gueye – 6 – Carried out his tackling duties as well as you’d expect, but Gueye must improve on his passing game. The midfielder found himself preventing and attack and then creating one straight after by giving the ball away. Tom Davies – 5 – Before being substituted due to injury, Tom was also a culprit for being sloppy with his passing. Although Davies was further up the pitch most of the time than that of Gueye, it did stop Everton from continuing promising attacks on a couple of occasions. Theo Walcott – 8 – Another spirited and energetic performance from Everton’s right winger. Walcott took the attack to Stoke in the second half and his control of the football on the break made it difficult for Stoke to stop. His cross for Everton’s winner gets a rating point on it’s own. Yannick Bolasie – 7 – Overall Bolasie made it difficult for Stoke. We’ve been asking Bolasie to improve on getting a final ball into the box of late and today he made that improvement. Wayne Rooney – 7 – Most will agree that it was a strange first half performance from Rooney, but he turned it around in the second half. Start to find space and time to find passes and he started the break away attacks which ultimately crippled Stokes stamina to defend. Cenk Tosun – 9 – Having scored 4 goals in 3 games, we’d like to see what a ‘settled in’ player looks like to Sam Allardyce! His work rate is second to none but he works more economically than that of Niasse. A natural goal scorer and he could be some buy if we play our cards right. Dominic Calvert-Lewin – 4 – It was a confusing performance from the 21-year-old and one thats starting to creep into his game. Does a lot of running but holds onto the ball too long and doesn’t allow the ball to do the work. Needs to improve his game double fold if he wants to get his spot back off Tosun. Morgan Schniederlin – N/R – Not a great deal for Morgan to impact upon. Did add a small amount of protection to our defence but it was futile as Stoke were on their haunches. 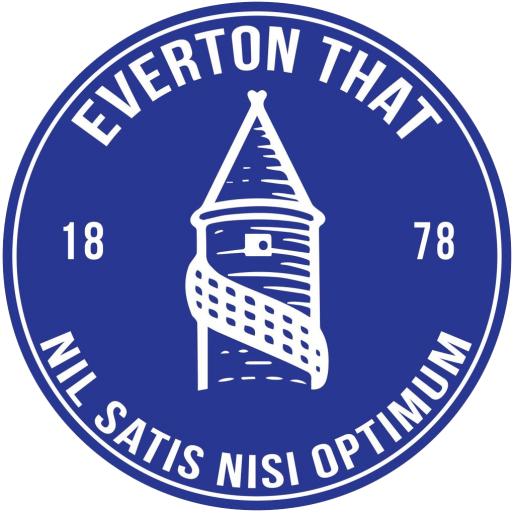 Mason Holgate – N/R – A useless sub from Allardyce but maybe just enough to keep Holgate interested in working for a way back into the side. Is Cenk Tosun actually good enough to replace Romelu Lukaku?